This program ( R.TCM.H) provides the graduate with professional training in Herbal medicine (Traditional Chinese Medicine). The Diploma of Herbal medicine is a 2-year (1900hrs.) program that deeply explores theoretical and clinical concepts of Herbal medicine. Students are taught both the diagnosis and treatment principles. TCM Diet Therapy is contained.Graduates of the Diploma of Herbal medicine program are eligible to be Registered Herbalist (R.TCM.H) in the province of British Columbia. Graduates must write a licensing exam in BC. They can practice as a Herbalist independently or employed by any TCM Clinic. 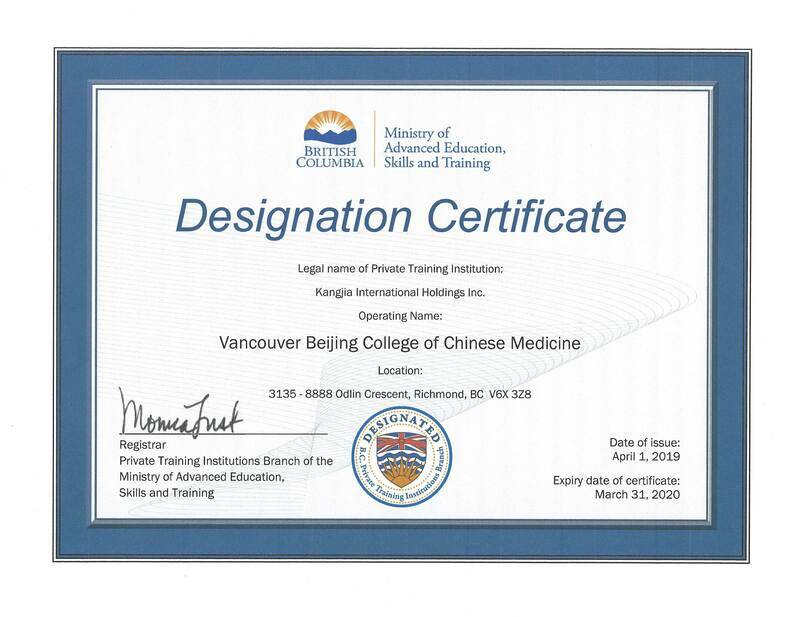 VBCCM's curriculum offers a wide variety of programs from a Chinese perspective, teaching all aspects of Traditional Chinese Medicine including: Acupuncture, Moxibustion, Herbology, Tui Na, and Qi Gong. Classes in Traditional Chinese Medicine are taught both in Canada and in China by highly regarded Doctors of Traditional Chinese Medicine.